Nano science and technology offers the paradigm shifts needed for major changes in energy capture, conversion, and storage and in stewardship of the environment. NanoCenter researchers pursue new materials, and related structures and architectures, to exploit nanotechnology for major advances. Topics include solar cells and photocatalytic conversion of sunlight to energy, capture of energy from heat through thermoelectric devices and from vibration through microdevices, new battery configurations based on nanostructures and nanomaterials, fuel cell configurations for more efficient, cleaner use of fuels, and nanomaterials as the basis for new concepts in cooling. The associated research landscape spans the full range from fundamental research to next-generation technology. 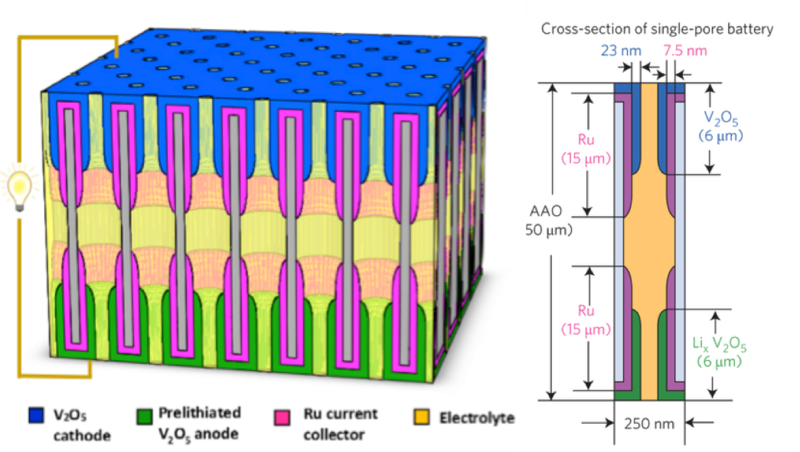 Nanostructured batteries, when properly designed and built, offer promise for delivering their energy at much higher power and longer life than conventional technology.